← What Is a Smile Makeover? Are Botox and Juvederm Safe? Almost seven million Americans had Botox procedures last year. More than two million had Juvederm or other soft tissue fillers. Side effects are minor, like bruising at the injection site, and occur in less than one percent of cases. Still, asking if these procedures, or any procedure, that you are going to have, is smart. 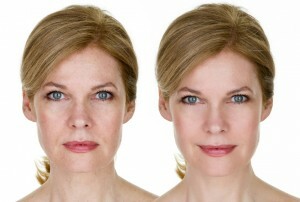 Botox and Juvederm both help create a more youthful appearance and are simple, in-office procedures. Both procedures are safe when performed by a doctor or cosmetic dentist who has both experience and training in proper technique. Botox causes muscles to relax, resulting in the softening and relaxing of muscles in the injected area. Botox treatments last anywhere from three months to a year. These side effects are temporary and usually resolve in a few weeks. Juvederm is a “filler” that raises or puffs up the skin, causing wrinkles to smooth out. Juvederm is a gel, made from hyaluronic acid. Hyaluronic acid is a natural occurring substance in the human body. It can hold 100 times its weight in water, which is why it’s so effective in adding volume to the skin. Juvederm treatments last from nine months to a year. These side effects are temporary and usually resolve in about two to four weeks. Dr. Stone is a Prosthodontist, who has been practicing cosmetic dentistry for more than thirty years. We will be happy to answer any questions you have about treatment with Botox or Juvederm and to make an appointment for you.